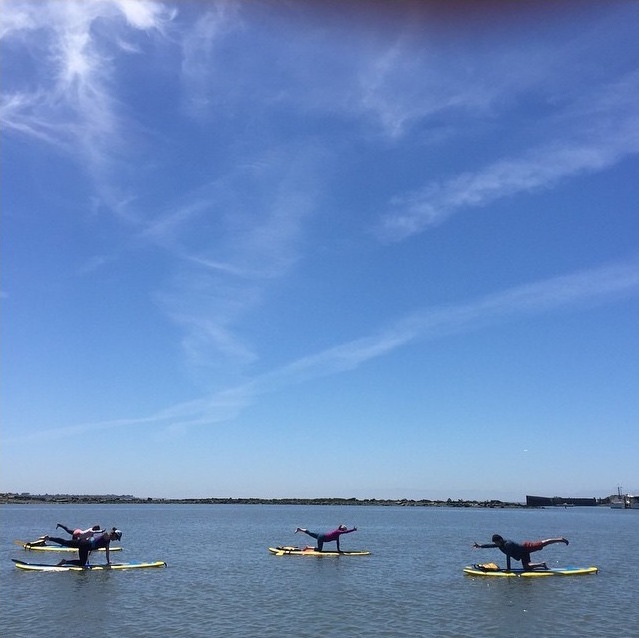 At Mike's Paddle we offer weekly SUP Yoga classes (1.5 hours), Specialty SUP Yoga classes (2 hours), Half-Day Intro to Sup Yoga Retreats (4 hours including lunch), Specialty SUP Pilates classes (2 hours), and Half-Day SUP Pilates Retreats (4 hours). Browse our class descriptions and times below. The best place to start your journey is with our Half-Day Yoga Retreats. Mike's Paddle offers memberships that offer you the opportunity to head onto the water at your leisure. Class passes only apply to weekly yoga classes. Specialty Yoga Classes are held exclusively on the weekends and offer all-levels of students a way to deepen their practice with a unique focus brought by each teacher. Join us in beautiful Ballena Bay for a full sensory class that will build peace of mind, courage of heart and a strong foundation in the body. Each specialty class is 2 hours and includes all equipment. Pre-requisite: Intro to SUP or equivalent. June 15: Saturday 11am to 1pm Sign Up - Summer Solstice Special! July 13: Saturday 5pm to 7:30pm Sign Up - Moonlight Yoga Flow! September 21: Saturday 11am to 1pm Sign Up - Fall Equinox! 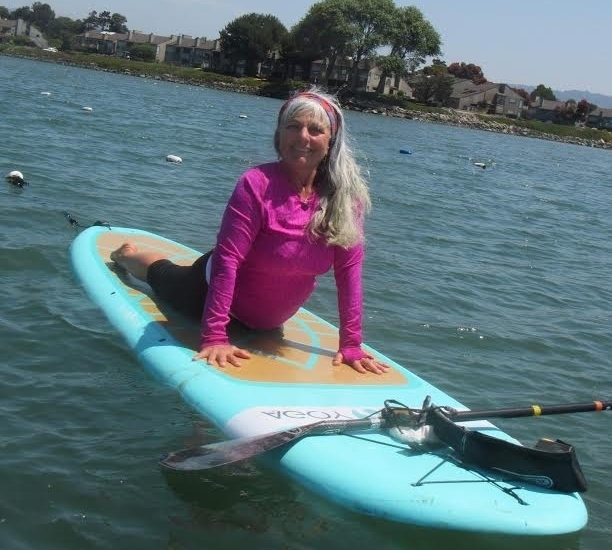 Learn the fundamentals of Stand Up Paddle Board Yoga in this healing half-day retreat located in Alameda's picturesque Ballena Bay. Beginners and experienced practitioners are welcome! We will float out to a serene location to anchor our boards and begin a yoga experience that is focused on the elements of nature. Be lulled in Savasana by the gentle movement of water and join the group for vegan snacks and kale juice (included) following our experience on the water. Don't miss this perfect Bay Area staycation. Pre-requisite: None. Included: vegan snacks and kale juice, all equipment and instruction. At Mike's Paddle we have a family of instructors who bring something special to each of their classes. Click an image below to learn more about each SUP Yoga instructor and don't be shy to join someone new on the water.